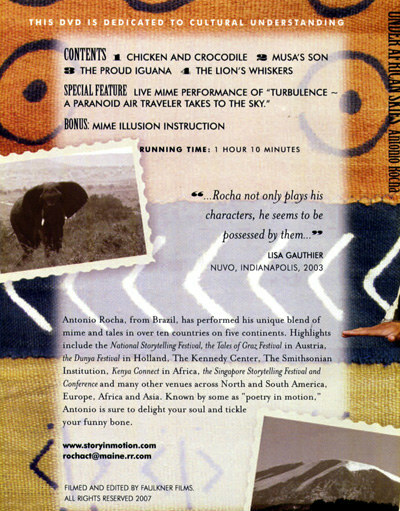 Home | Solo Performances and Coaching Services | Antonio Rocha Inc.
Antonio Rocha (pronounced Haw-sha), is an award winning storyteller whose unique fusion of mime and spoken word has been presented not only in premier venues in the United States, but also in 15 other countries across 6 continents. 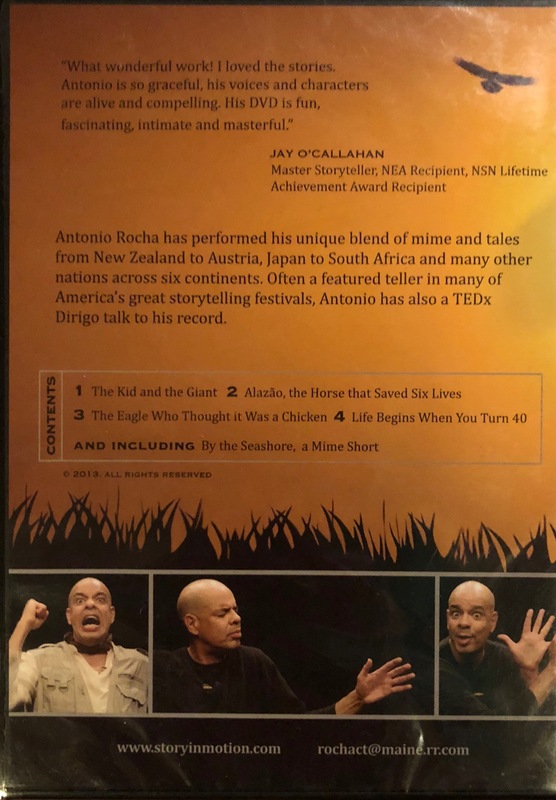 Often a featured teller in the Nation’s premier storytelling events, Antonio Rocha’s programs can also be booked for libraries, schools, museums, universities and special events where good listening is cultivated. With his tenor voice, realistic sound effects and mesmerizing moves, Antonio is sure to tickle your funny bone and delight your soul. Please find below an exciting list of performances for 2019 in the follow states and storytelling events: Utah: Weber Univ. Festival, Texas: Tejas Festival, Maine: Footlights Theatre run, Mississippi: Lee County Library Festival, , Austria: Internationales Festival, Sweden: Ljungby Festival, Maine: Wells Library & Denmark Theatre, California: Sierra Festival, Utah: Timpanogos Festival and Conference, Nebraska: MoonShell Festival, Kentucky: Haunting in the Hills Festival, New Mexico: SOMOS Taos Festival, and California: Wine County Spoken Word Festival and more. You may click on each bullet below in order to speed up the strolling process. Thank you. Please come and join me at my first appearance at this great Festival. I am super excited to premier new work at this gem of a theatre. Family matinee: Saturday April the 6th at 2pm. For Schedule and more info please click here. June 5th to 13th and 17th to 22nd. Super excited to be returning to this premier event. I am excited and honored to be returning to celebrate their 30th anniversary. California - July 18th to 23rd. Utah - September 4th through the 8th. I am super excited to be returning to this amazing Festival to celebrate its 30th anniversary. 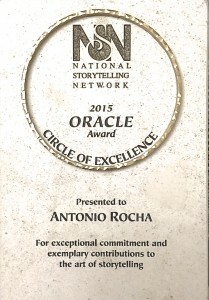 I am super happy to be returning to this great Storytelling Festival. I am looking forward to premiering my work at this one of kind event. 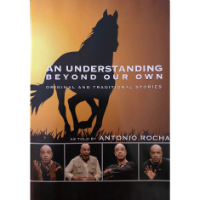 I strive to use my thirty three year experience as a solo performer not only to entertain but to also showcase lessons from different aspects of life. Using the versatile yet economic nature of storytelling and mime, I invite the audience to activate their imagination through rich symbolism and imagery. Thank you for visiting. 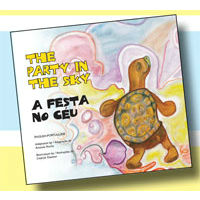 You will root for Turtle as it journeys to realize its dreams of going to the Party in the Sky. Along the way Turtle learns that nothing is impossible with the help of family and friends. 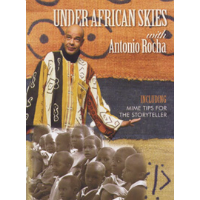 This DVD was inspired by Antonio’s first trip to Africa. It includes African Folk Tales to warm your heart and tickle your funny bone. A Mime Skit and tips for the story teller are also included. 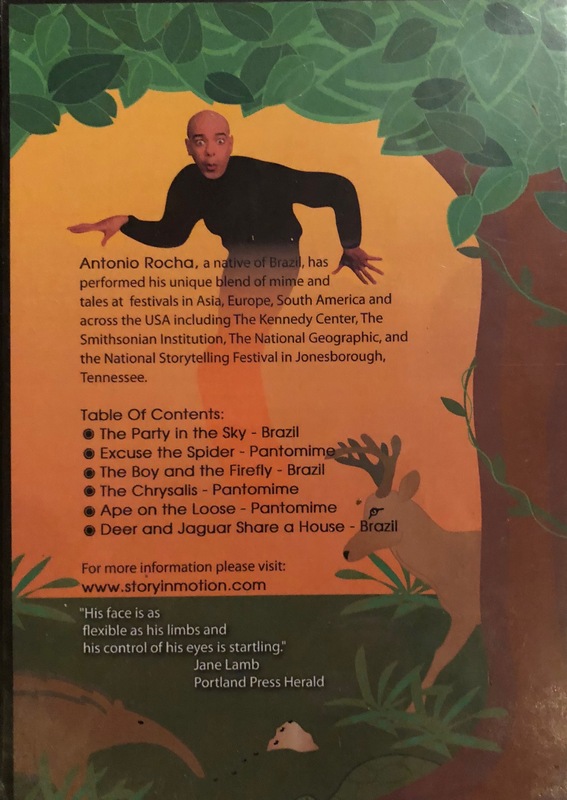 This DVD features three Brazilian folktales and some mime work through Antonio's unique blend of verbal narrative and movement. It is sure to entertain and educate both young and adults. 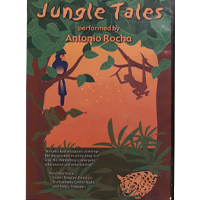 This latest DVD includes two of Antonio’s favorite personal stories and two folk tales. Please Sign Up for the E-Newsletter!